The imminent review of the law to allow foreign investors to wholly own investments in diamond will help boost foreign direct investment in the mining sector and across value chains, the Chamber of Mines of Zimbabwe (CoMZ) has said. The Government has been progressively reviewing the Indigenisation and Economic Empowerment Act in order to create a business-friendly environment. In the post November 2017 political transition, Government immediately scrapped the requirement for foreign investors to limit their investment threshold to 49 percent, but it was retained for the diamond and platinum mining sectors. 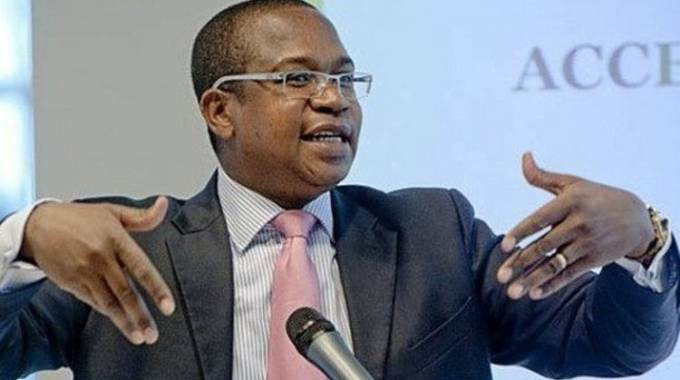 However, in an interview with US-headquartered Bloomberg TV last week, Finance and Economic Development Minister Professor Mthuli Ncube said the requirement foreigners would now be allowed to control 100 percent of their investments in the key mining sub-sector. “We are removing that indigenisation rule, which is discouraging foreign direct investment. We say Zimbabwe is open for business; you can only be open if you allow ownership of 100 percent,” said Minister Ncube. There are indications that the policy would be extended to the diamond mining sector as well. CoMZ chief executive officer Isaac Kwesu said the latest move was a step in the right direction and would bring the much-needed foreign direct investment, create employment within the sector and across value chains. “We have a huge mineral resource as a country, but on our own, without foreign direct investment, we may not realise much or unlock value from our mineral resource. “The platinum value chain is capital intensive, and this move will attract investors across value chains. As it is now, we need FDI, which is the common practice everywhere,” said Mr Kwesu. The country’s platinum production, he added, would also increase on increased investment in the sector, while beneficiation and value addition would expand — boosting employment creation, taxes and royalties. Other downstream industries are also expected to benefit through local procurement. “The bigger population will benefit from this. This will have a huge impact in the socio- economic transformation of many Zimbabweans,” he said. Mining is one of the strategic sectors driving the economy. Government has been working on attracting capital into the sector, which is considered key in plans to establish an Upper Middle-Income economy by 2030. Zimbabwe has vast mineral deposits ranging from gold, platinum, diamonds, nickel and chrome. The country is home to the world’s second-largest known platinum deposits after South Africa, while its gold reserves are one of the largest in Africa. United Kingdom-based economic research firm Fitch Solutions believes Zimbabwe will become a mining giant in the Sub-Saharan region. “Zimbabwe is emerging as an important mining centre within Southern Africa as foreign investment drives growth in mineral and metals production,” said Fitch in their recent publication on the country ( Zimbabwe Country Risk Q1 2019). “In terms of overall platinum output, Zimbabwe is challenging the world’s largest platinum producers, Russia and South Africa, while gold production is also set to ramp up over the medium term. “Zimbabwe will experience a temporary boost in gold production in 2017-2019 as the impact of a gradual recovery in global gold prices and regulatory changes lead to an increase in activity by smaller mining firms. Zimbabwe’s platinum output will also grow at a steady pace, while that of its main competitors, South Africa and Russia, will stagnate over time, according to our mining team,” said Fitch. The international think tank also sees the Zimbabwean economy recovering from more than two decades of sluggish growth driven by mining and tourism, among other key sectors of the domestic economy. Fitch also says President Mnangagwa’s administration has shown commitment to reforms with the amendments to indigenisation laws a positive sign of its pledge to create a conducive business environment. “The new Government in Zimbabwe has shown signs of progress towards implementing investor-friendly structural reforms, which will encourage FDI and buttress economic growth over the long term. “Zimbabwe is endowed with a wealth of natural resources and vast human capital compared to regional peers,” it said.